Do you think Apple create their legendary interfaces based solely on user input? Even Microsoft are smart enough to not do that. I thought it was a joke and the captions were taking the piss. 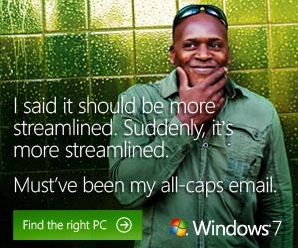 And surely “Must have been my all-caps email.” is a reference to windows ‘tards inability to use standard communication tools. If all caps gets you streamlined, imagine what yellow on white with marquee tags could do! Copyright © 2019 curmi.com. Powered by WordPress. Theme: Spacious by ThemeGrill.